Then a Cunning Voice and A Night We Spend Gazing at Stars is a multi-year project dedicated to building an all-night, out- door performance gathering. 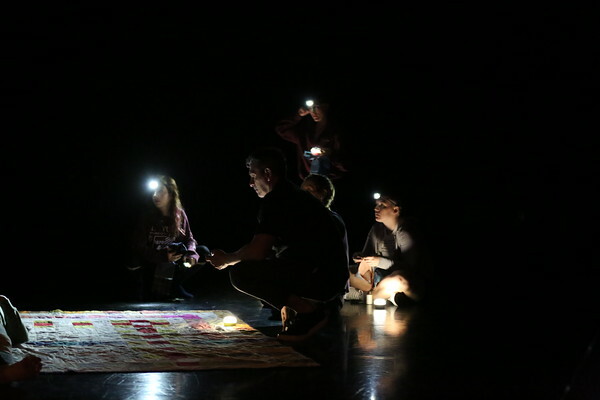 The work includes in equal measure: making quilts, performance, storytelling, song, and a night outdoors under the sky. It relies upon people coming together to voice intentions, witness, work, experience time, rest, and imagine. 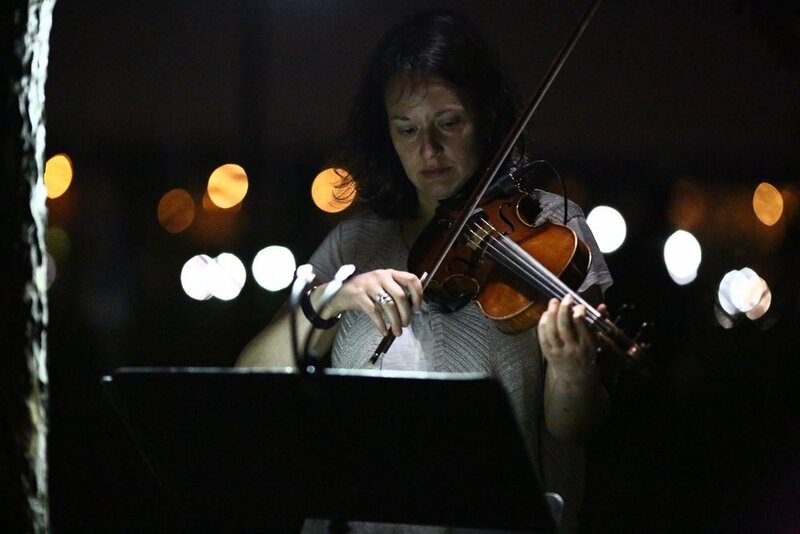 Emily Johnson's Then a Cunning Voice and a Night We Spend Gazing at Stars Residency at MANCC. New York City quilt squares. Photo by Maggie Thompson. Maggie Thompson and Quilt #12. Community Visioning Session at Richfield Farmers Market. Photo by Becca Barniskis. Community Sewing Bee at Makers Mill in North Adams, Massachusetts. 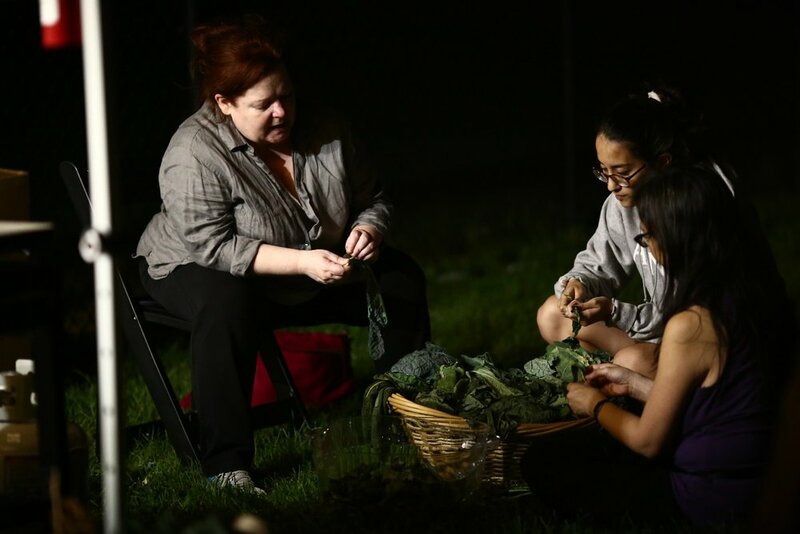 Spending the night in a city park, on a rooftop, or in the rural darkness is also an opportunity to spark conversation and action about safety. Safety comes to mind because many intentions voiced in the past two years have been about safety - most clearly safety from police violence. 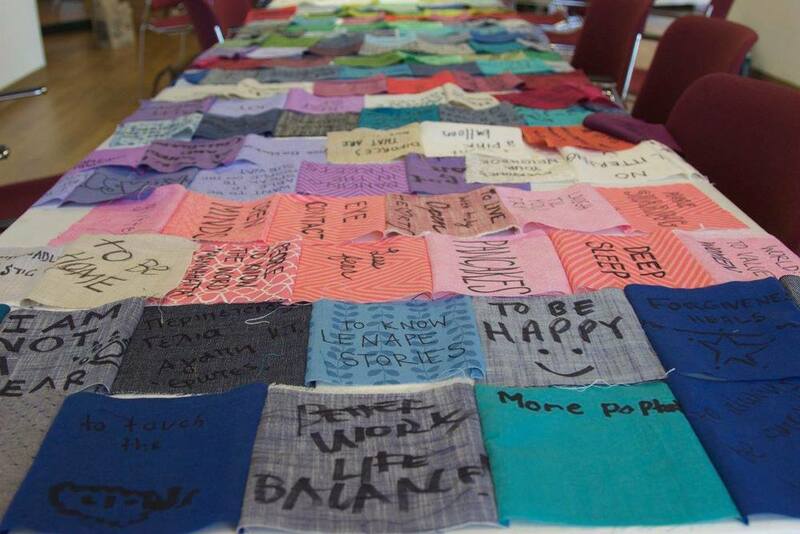 Many quilt squares say something similar to: “[I want] To not be afraid of police.” (NYC, June 2015). One says, “[I want] The police to stop killing our kids.” (Vancouver BC, CA, August 2015). This project cannot fix power dynamics that create racial violence but it can start to examine and shift dynamics by sharing responsibility and authorship with local residents, participants, host nations, and audiences. Our safety process will be co-organized with a local youth leadership team who develop a strategy for re-envisioning community health and for discussing community safety with police. What excites us about this is the possibility for long term effect-- building relationships between young people and police begins to change the nature of power. It changes relationship. Development support for activities at Williams College are supported by the Mellon Foundation.. Then a Cunning Voice… is supported by a National Dance Project Touring Award from the New England Foundation for the Arts and MAP fund. Emily Johnson is a 2016 Guggenheim Fellow. 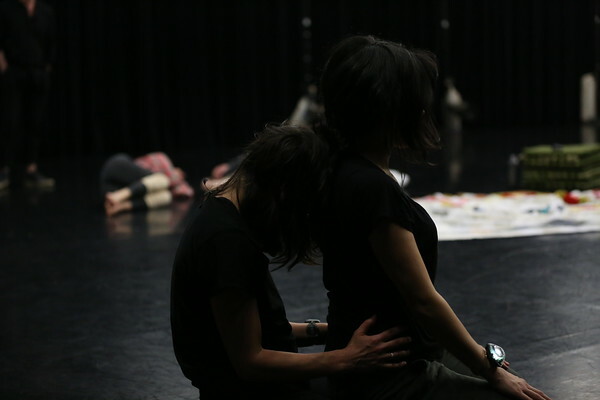 Development support for Then a Cunning Voice and A Night We Spend Gazing At Stars was made possible through residencies at Push Festival (Vancouver, BC), MANCC (Tallahassee, FL), and a Forecast Public Art/RARE Residency (Richfield, MN).